Lockdown point for zippers and cables, helps protect against pickpockets and gear thieves. Protect the contents of your bag by securing your zips and anchor cable on a single lockdown point. All neat. All sweet. Patented in USA (9408450, 9161596 & 8365365); Europe (EP2653056); China (2320651 & CN103653566B). Additional patents pending. 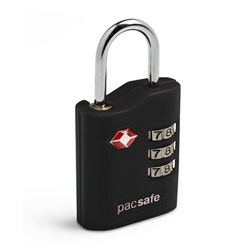 The Pacsafe Camsafe Z15-Slate Green has many exciting features for users of all types. You can extend the lifetime of your Pacsafe Camsafe Z15-Slate Green with the purchase of a FactoryOutletStore Factory Protection Plan. 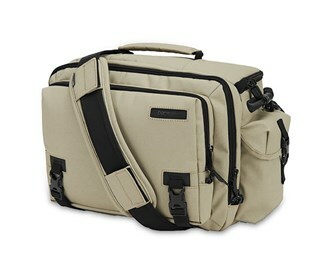 See the Pacsafe Camsafe Z15-Slate Green gallery images above for more product views. FactoryOutletStore stocks a full line of accessories like 4 Dial Retractable Cable Lock and Combination Lock for the Pacsafe Camsafe Z15-Slate Green. 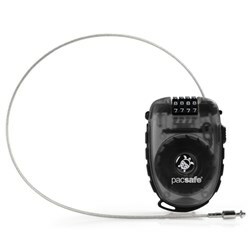 The Pacsafe Camsafe Z15-Slate Green is sold as a Brand New Unopened Item.